The Land Transportation and Franchising Board has reversed its July 9 order to MyTaxi.Ph Inc., the company operating Grab Philippines, to reimburse the Php2 per minute it charged to riders for trips made from June 2017 to April 2018 through rebates, giving the latter a rare win against the regulatory body. However, the ride-hailing service is still mandated to pay a Php10-million penalty for allegedly imposing the Php2 per minute charge without clearing it first with regulators. 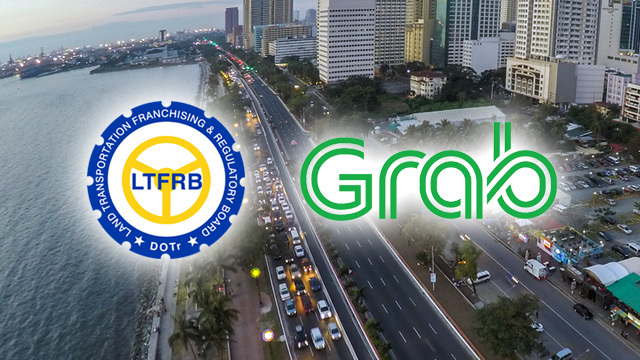 In April 2018, the LTFRB suspended the time component in Grab Philippines’ fares after PBA party-list Rep. Jericho Nograles filed a complaint over its legality. Citing regulations on ride-hailing services outlined in Department Order No. 2015-01, the regulatory body said transport network companies are required to submit their proposed fare structure for accreditation purposes. But Grab Philippines argued that the order also allowed them to implement fare changes without need for regulatory approval. The transport network company is also set to appeal the Php10-million penalty imposed by the regulatory board. In earlier interviews, Cu said this suspension caused many transport network vehicle service (TNVS) providers under its platform to cease or slow operations due to insufficient revenues. He also cited it as one of the main reasons why riders have been finding it difficult to book rides in the platform due to lack of partner drivers. While the recent order saved Grab Philippines from costly reimbursements to riders, it still does not reinstate the Php2 per minute charge in its fares, which its partner drivers have long clamored for. LTFRB Board Member Aileen Lizada, who had dissented from the July 2018 order compelling Grab Philippines to reimburse riders, said a new memorandum circular will be released this week to address the issue. This story was updated on September 5 to add Grab Philippines' statement which was issued on the same day.